Fighting for divorce clients' rights in Kane, DeKalb and McHenry Counties for over 32 years. Defending those charged with all types of criminal offenses including DUI, retail theft, battery, drug and weapon violations in Kane, DeKalb and McHenry Counties. With bilingual staff in-office, our Spanish-speaking clients do not have to worry about communication problems. We make sure you understand every aspect of your case and can participate fully. Not everything we do is listed here, so please feel free to call us about your problem. If we can't help you, we'll refer you to someone who can. Whenever you are involved in the legal system, the process can be overwhelming. Having an experienced attorney on your side can alleviate much of the stress involved. Being able to trust that your attorney is strongly advocating for your rights and interests improves both the experience and the outcome. At Canning Law Offices we are dedicated to guiding our clients through the legal system. 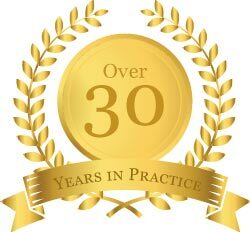 We have over 30 years of experience representing clients in divorce and criminal court, and we have long track record of obtaining favorable resolutions at affordable rates. In addition to divorce, family law, and criminal law, we also assist small businesses with collection matters. Whether you are a plumber, electrician, dentist, or physician, getting paid for the service you provided is not always as simple as it seems. We can help you with that. Since no two clients are exactly alike and every case is different, we realize that in order to accomplish these goals we must treat you as an individual and find out what is important to you. We won’t assume your desired outcome is the same as any other client’s. At Canning Law Offices we want you to sleep better at night knowing we are working hard to protect your best interests. We provide experienced representation in all divorce-related matters including child support, allocation of parental responsibilities and parenting time (formerly child custody and visitation), division of assets, and spousal support. At Canning Law Offices we have decades of experience defending clients throughout Kane County with traffic violations, theft, assault and battery, weapons crimes, and other criminal matters. We will fight to protect your rights and freedom. A driving under the influence (DUI) conviction carries heavy penalities and can have a great impact on the rest of your life. 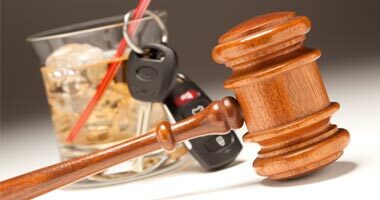 We are prepared to defend you against DUI charges, whether it is a first-time offense or if you have had multiple arrests. If you are convicted of a crime, no matter how minor the charge, the consequences can be extreme. You may be required to serve jail time and/or pay an expensive fine. Additionally, you may have a hard time finding a job and/or a home if you have a criminal record. At Canning Law Offices, we strive to keep our clients' records clean whenever possible. We carefully investigate the circumstances of your case and build an aggressive strategy to advocate for your rights and interests. Navigating the court system is hard enough when English is your first language. When there is a language barrier, the legal process can be even more daunting. At Canning Law Offices, we provide high quality and affordable legal services to the spanish-speaking community in and around Elgin. Our firm is proud to have a bilingual staff member who is available to assist our clients with questions, appointment scheduling, and other matters. She also routinely provides in-office translation for our Spanish-speaking clients when they are unable to bring an interpreter to meetings. If you require an interpreter in court, we will gladly make arrangements for a court-approved professional interpreter to be present. Our goal is to facilitate the legal process as much as possible for our Spanish-speaking clients and ensure that you can fully participate in your case from start to finish. For an experienced and capable attorney to represent you in any family law or criminal defense matter, please contact us at 847-742-0420 to schedule a free consultation. We make scheduling an appointment easy with evening and weekend availability. We also offer senior citizen discounts. Our office is located in Elgin, Illinois, and we serve clients in Elgin, South Elgin, Gilberts, Hampshire, Dundee, Carpentersville, Algonquin, St. Charles, Campton Hills, Pingree Grove, and throughout Kane County, DeKalb County, and McHenry County.